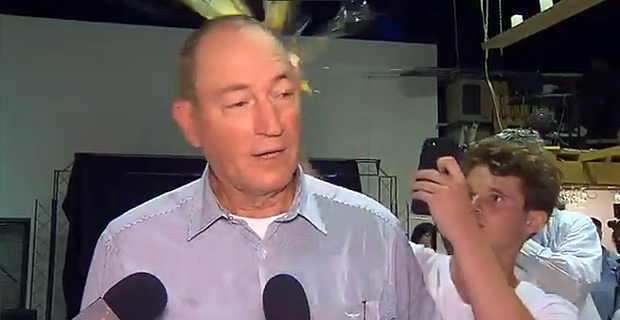 The teenager who cracked an egg on Senator Fraser Anning's head has admitted it wasn't wise. Police say Australian senator Fraser Anning acted in self‑defence when he physically retaliated against a boy who had smashed an egg on his head. Video of last month's clash involving the Senator went viral and sparked debate in Australia over who ‑ if anyone ‑ should face police action. Police cautioned the 17‑year‑old boy, but said neither would face charges. The incident happened after Anning caused fury by blaming the New Zealand mosque attacks on Muslim migration.